I recently read a nice article on tips to a successful retirement in the Wall Street Journal which made a lot of sense to me. We know of retirement as one event in our lives where for once…we can now have all the time for ourselves…BUT are we prepared enough both emotionally, physically and health wise before we plunge into it? The bottom line in retiring is to plan this stage in life ahead of time. It is suggessted that start planning about retirement at least 5 years before you quit the work force. The research is clear: “People who dont have a purpose in life, dont live long.” So if you retire and then do nothing except golfing, going to the beach…these will not last long before BOREDOM sets in because of not being productive….then Depression! So plan on doing voluntering work and anything that is intellectually stimulating can make you stay sharp! Staying Healthy is the most important factor to a successful retirement. Statistics have shown that in US alone: half of the 60 year old will live up to age 85. It is for this reason that saving money prior to retirement is also key to enjoy the benefits of all the hard work. BUT always Remember… being healthy is also KEY! Why? because….a healthy lifestyle and good health can keep your medical costs down. So if you plan to retire early and enjoy the benefits of retirement … then make sure you keep wellness ahead of everything else in life. If you are saving enough to spend…make sure you spend them on luxuries you want to enjoy and not the frequent visits to doctors and pharmacies for your medications due to neglect of health! Again It is thru Health where you enjoy your wealth! Can I Exercise Even If I Have Arthritis? A common question indeed! Diabetics are prone to arthropathies. Or shall we say…joint pains due to arthritis affect almost every pateint after the age of 50. The tendency of patient with arthritis is to assume a position that they deem less painful and avoid the joint from being moved. Unfortunately this reflex of patients gets them into more trouble. Exercise is part of arthritis treatment regimen…it is encouraged and not avoided. Exercise has been shown to help improve joint mobility, increase ones muscle strength as well as sense of well being by improving overall physical conditioning, and helping one lose weight. Likewise, exercise has been shown to help keep bone and cartilage tissue strong and healthy resulting in improved mobility of the joints involved. Some exercises that we recommend for patient with arthritis include: Flexibility or stretching exercises to improve the range of motion of the joints involved. Strenghtening exercises to keep the muscles strong to protect the joints from further injury. For my patients with knee pain, I usually also recommend stationary bike exercise to provide less strain to the knees while allowing mobility to the feet and arms. Swimming is best also because the bouyancy helps put less pressure on the kness and joints. My recommendation to those who suffer from arthritis is: Keep your joints moving. Exercise daily if you can and help make your lives better by making yourself feel better through exercise not only to help you move but likewise move free of pain. These exercises can help keep your joints moving. Follow these tips to get the most benefit. Do these once or twice per day. Do each exercise 3 to 10 times. Move slowly. Do not bounce. Breathe while you exercise. Count out loud. Begin exercises slowly, doing each exercise a few times only and gradually build up to more. Try to achieve full range of motion by moving until you feel a slight stretch, but don’t force a movement. Don’t try to help others do their exercises by moving their arms or legs. STOP exercising if you have severe pain. Make exercise part of your daily routine. Remeber to start slow and go slow. Again this is where Discipline Counts to make life better and easier! Can Ginkgo Biloba Improve Memory? 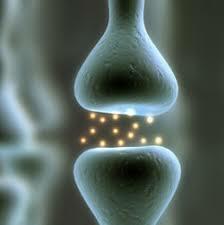 I am always asked this question whether there is a vitamin or supplement to improve memory. There are alreay several claims of ginkgo biloba being a “great” memory enhancer but so far I havent come across a study that says it does. Ginkgo herbs and supplements are actually derived from the tree leaves and is being marketed in supermarkets everywhere. Again just like any herbal preparations, it should be taken at your own risk because I dont see any clinical indication in medicine to provide herbal supplements or medications that do not have studies to support any claims. Studies in the United States have found that ginkgo stabilized — and in some cases improved — cognitive function and socialization in patients with Alzheimer’s disease, although the clinical significance of the improvement was not known. LeBars and colleagues reviewed 2020 patients in an intention-to-treat analysis that resulted in a 1.4-point advantage over placebo in the Alzheimer’s Disease Assessment Scale-Cognitive subscale. In addition, studies have also demonstrated that the standardized extract of ginkgo biloba (EgB) 761, is effective in reducing symptoms of claudication, giving patients a 50% increase in pain-free walking distance. In contrast, a recent clinical trial failed to demonstrate any improvement in cognitive function or in the quality of life in cognitively intact, older individuals. 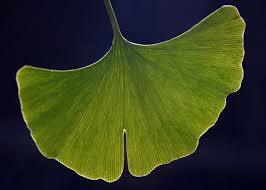 Ginkgo leaves have been associated with mild gastrointestinal side effects and headache. Ingestion of ginkgo seeds may result in serious neurologic and allergic reactions; therefore, they are not used for medical purposes. Ingestion of leaf-based extracts has been associated with a spontaneous hyphema (blood in the anterior chamber of the eye) in an elderly man, and with spontaneous subdural hematomas. Whether this supplement will have a place in the therapeutic armamentarium of Alzheimer’s disease or conditions that lead to poor memory remains to be seen. For now… it is best to ask for advice from your doctors before you take any herbal preparations because they may interact with some drugs that you are taking for your medical condition. So my recommendtion to those who wish to take ginkgo to enhance their memory for purposes of taking a supplement…I would say NO! To those who wish to take ginkgo to improve their memory for test taking skills… my advise is: better study more than depend on pills! In short… no study yet has been done to support an indication of ginkgo as a treatment option. More studies need to be done to prove it works and that its benefits outweigh the risks. Recent findings of Vitamin D deficiency as another risk factor for high blood pressure and heart disease made me realized that we always take for granted the beneficial effects of the sun. The above findings suggest the Vitamin D Deficiency may increase your risk by more than 50% to develop heart disease. Likewise it may also be an important risk for factor for the development of Hypertension. It is estimated that approximately 1/3 to 1/2 of middle aged men and women are VitD deficient owing to lack of exposure to the sun. 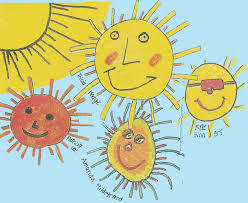 The sun rays are important for the formation and activation of Vitamin D in the skin. So hiding ourselves from the sun because of heat will increase our risk to develop Vitamin D Deficiency. Vitamin D is also important for muskuloskeletal strength and in fact deficiency of Vitamin D may be responsible for a lot of muscle weakness noted in a population. So how much sun exposure do I recommend? Just like anything…do it in moderation…meaning not sunbathing but exposing your face, arms and legs to the morning sun at least 15 minutes per day should be sufficient. You can also check your Vitamin D level which can be done locally in your lab. Enjoy the Health benefits of the SUN! Anxiety and The Risk For Heart Attack! Are you always Anxious? Jittery? Worried on something? Have you been suffering from anxiety that you just cant help it be worried that something may happen? Anxiety is defined as a feeling of fearfullness and uncertainty. Transient anxiety due to family problems or death can be normal BUT once anxiety continues overtime and is affecting your daily activities and is getting worse then intervention should be made. I have long suspected Stress secondary to anxiety can definitely be harmful. Stress hormones that our body produces can be harmful and in fact Stress is now considered a risk factor for developing diabetes. Now a new study published in the Journal of Cardiology, January issue considers anxiety as a risk factor for one to develop heart attack. Anxiety characteristics independently and prospectively predicted MI incidence after controlling for age, education, marital status, fasting glucose, body mass index, high-density lipoprotein cholesterol, and systolic blood pressure in proportional hazards models. The above study is the first to show this relationship….and am sure more studies will come that will show Stress from whatever cause can lead to what we know now the Diseases of the New Century…. Each day is a new day and once it passes…it’s one less day for you! Thank God for what you have.. and Stop being Bitter! Learn how to appreciate things… understand why some things just dont work the way you desire. To Be Stress Free….ENJOY Being Alive! Honey for Cough and Colds ? If cough and colds medicnes are not that effective such that the US FDA recently made an announcement not to use these medications among children less than 6 years old… then what is our altrernative as parents with children arriving from school with cough and colds? I have long heard about honey and its supposed “healthy” properties so I was not surprised when in a recent article published in Archives of Pediatric and Adolescent Medicine, Dec 2007 , honey was assessed to be a safe alternative to cough and colds medicine which for me is just timely!!!! Results: Significant differences in symptom improvement were detected between treatment groups, with honey consistently scoring the best and no treatment scoring the worst. In paired comparisons, honey was significantly superior to no treatment for cough frequency and the combined score, but DM was not better than no treatment for any outcome. Comparison of honey with DM revealed no significant differences. Conclusions : Honey may be a preferable treatment for the cough and sleep difficulty associated with childhood upper respiratory tract infection. The study used buckwheat honey which contains more phenolic compounds than other varieties. Apparently these substances have been shown to have antioxidant properties whihc may have contributed to the improvement of the symptoms of cough and colds. The question therefore whether the effect is limited to this kind of honey only remains unanswered. For me honey is easy to get and safe to drink. Based on the study… it worked. I would definietly try it on my kids and then let’s all share experiences once we have tried it.